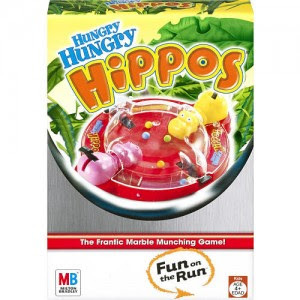 Walmart and Target have the Hungry Hungry Hippos travel size game priced from $4.99 to $5.99. Plus, you can use the $4/1 coupon from here to score this game for as low as $0.99! Are you looking for even more toy deals? Check out these posts here, here and here! Oh ! What a great idea! Thanks! I wub you! Thank you so much.If I can find one I'll probably add it to my Christmas stash!